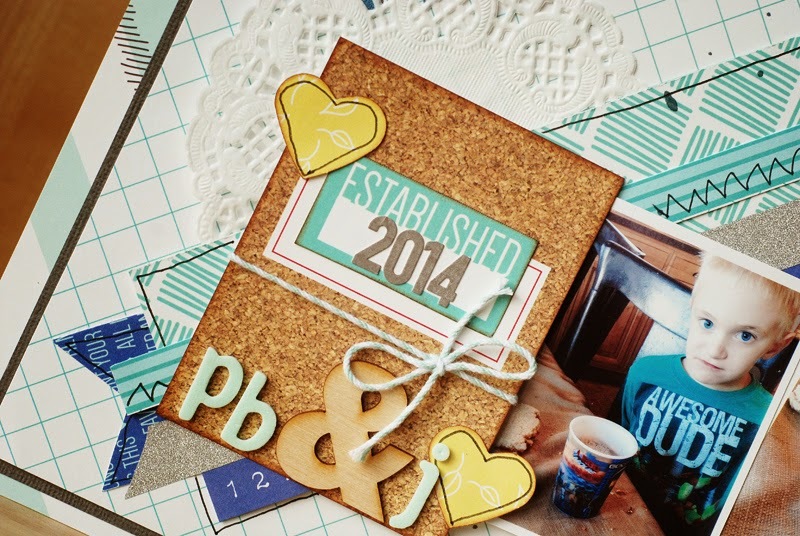 Welcome to stop #1 on the Elle's Studio blog hop! 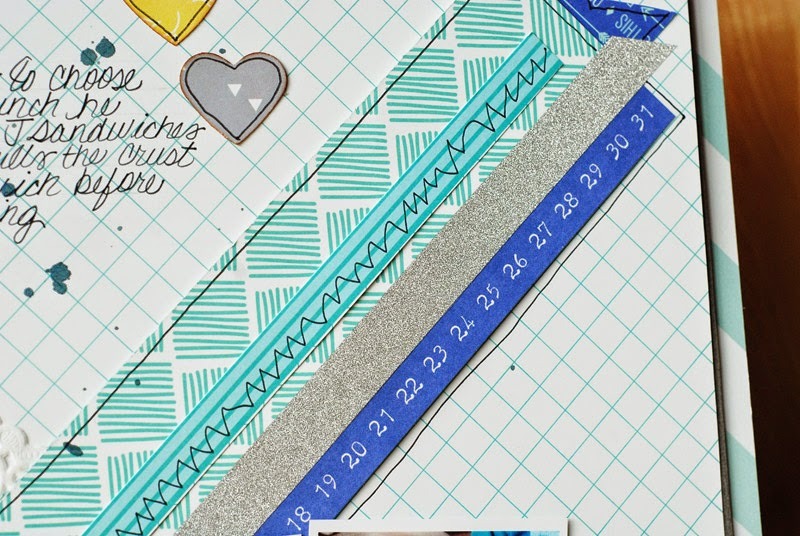 I'm excited to share with you a layout I created using the Sycamore Lane collection. This is the perfect Fall/everyday collection. On this layout I used it as an everyday collection. It's about my son and his Peanut Butter & Jelly sandwiches. You can't get more "everyday" than having a PB&J! The next Elle’s Studio monthly kit launch is November 10th at 8:00 am PST and above is just a tiny peek at what will be available! Mark your calendars now so you don’t miss the exclusive November kit, four add-ons, printable & cut files! Leave a comment on this post (please leave your email, in code if you prefer) to be entered to win a $15 Elle’s Studio gift certificate to spend at their shop! Check back here on November 7th to see if you are the winner! And, don’t forget to check out the rest of the stops on our hop – you can leave a comment at each stop to be entered to win! Also, enter your email here so you'll be signed up to receive my newsletter updates so you won't miss anything! This is so cute! I love the staggered photos and the doily tucked behind the strips of paper! Love this layout, and the color palette. This is such an adorable layout. This line is amazing. I love all patterned papers! What a sweet layout! 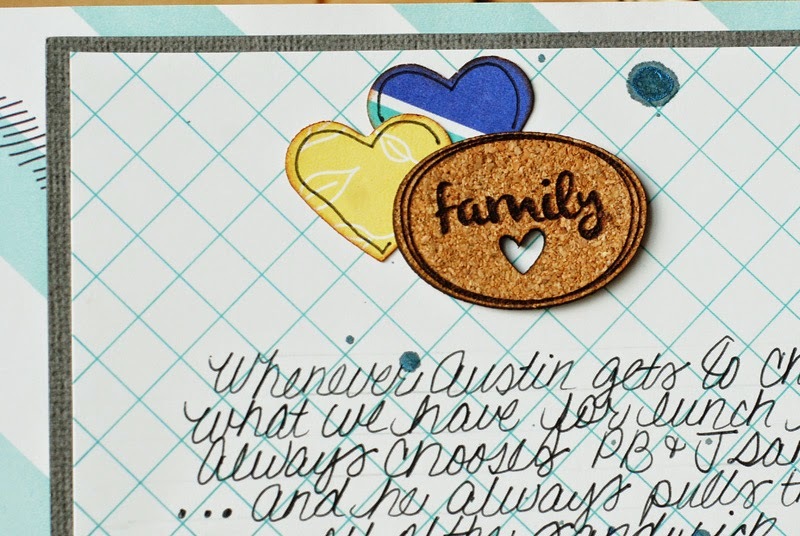 I love the cork and the doodled stitching! Fun page - thanks for the sneak peek too! love the colors of this collection! And this is soooo cute! Very sweet and cute LO! Love these projects. Thank you for linking up to the current issue!